Piñatas are already notoriously difficult to hit while wearing a blindfold and dizzy from spinning. 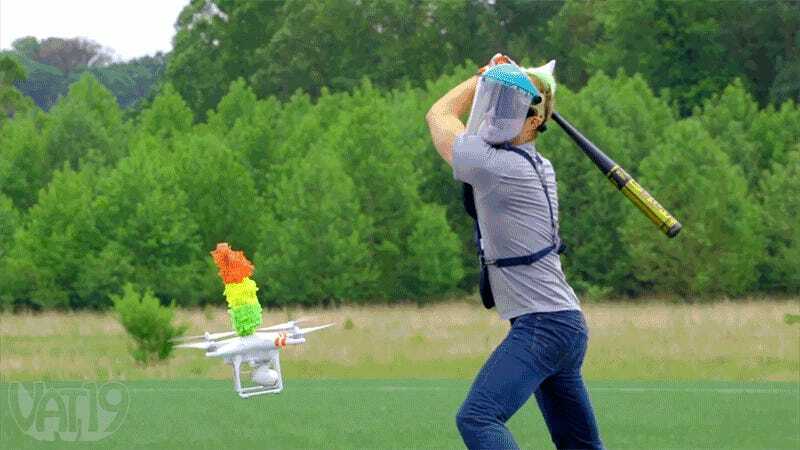 But trying to hit a piñata perched atop a flying drone, and not hanging from a tree, is a even greater challenge. The payoff is well worth the difficulty, though, because in addition to candy flying everywhere, you might be lucky enough to smash an annoying drone right out of the sky.